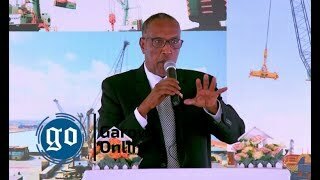 GAROWE, Puntland - The Vice President of Somalia's northeastern semi-autonomous region of Puntland and acting president, Abdihakim Abdullahi Omar (Amey) spoke about the inter-clan fighting broke out in Buuhoodle town Ayn region on Saturday, August 19, 2017, Garowe Online reports. 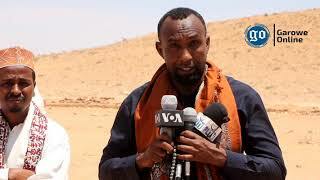 In an interview with Radio Daljir, Amey said Puntland state is deeply concerned about the latest outbreak of battle in the northern town, and has urged the two brotherly clans to bring an end to the battle, and opt for peaceful coexistence. "We are calling for a ceasefire. Definitely, In war a youth is killed, not born. You know the disadvantage of war. Nobody in Buuhoodle will benefit from this senseless conflict.," said Puntland Vice President. 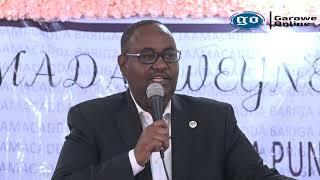 Amey added that Puntland government is ready to take any measures to end the hostility and will send a peace delegate to Buuhoodle, to contribute to the mediation process to stop of the inter-clan clashes. He stated that they have made contact with the intellectuals in Mogadishu, who hail from the region, and agreed to go to Buuhoodle and take part in the efforts to solve the recurring conflict. The government is expected to dispatch today a team comprising of Ministers to the town, that will broker ceasefire between the warring clan militias. The VP ruled that the war is based on political issues. 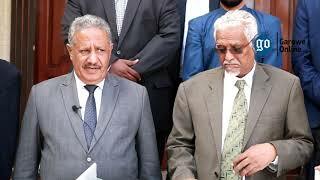 When asked about the efforts of Somaliland to bring ballot boxes to the region, Amey said: "It was an attempt and a failed plan." 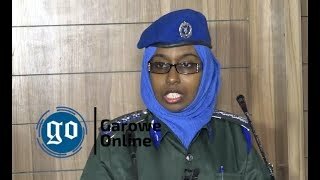 "As you are aware of, Somaliland's ballot boxes were burnt down in Laas Anod town, and the security guards of the election campaign teams have been killed, their guns seized by local resident," he added. "Puntland and its people will defend their territory and not accept Somaliland’s movements in the Sool and Sanaag regions.” He added. Last week, Puntland has deployed more troops to Sool and Sanaag regions in an attempt to prevent Somaliland from holding election in Sool and Sanaag regions. Puntland and Somaliland had been fighting over the control of Sool, Sanaag and Ayn regions in northern Somalia for more than 20 years after the civil war broke out in Somalia in 1991.